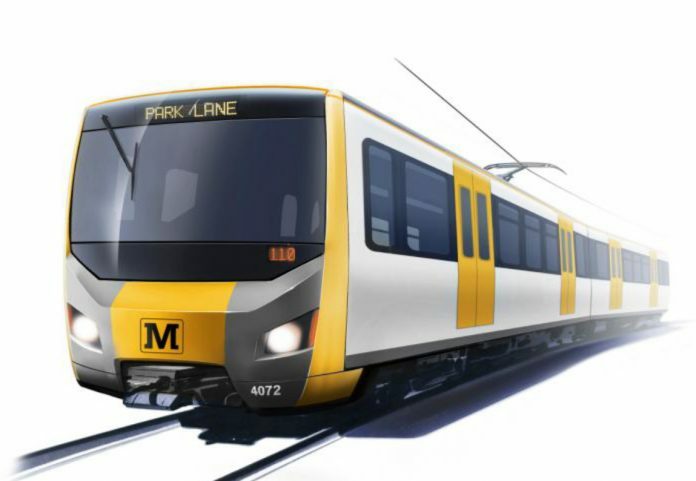 Operator Nexus has begun the process for replacing the Tyne and Wear Metro’s ageing fleet of trains, which were built in the 1970s. Launching the £362 million (∼€415 million) tender to design, build and maintain 84 carriages (42 trains), Nexus said that it expects to receive interest from global rolling stock providers before announcing the winning bidder in 2019. Newcastle City Council leader Nick Forbes said that investment in rolling stock – the biggest projects in the light rail system’s history – has been long overdue. He added that the start of the procurement process marks the first step on the road to a “bright new era” for the Tyne and West Metro. The new fleet will feature air conditioning, phone charging points and longitudinal seating – meaning seating along the inside of train walls – to create more space for wheelchairs, standing room and luggage. Specifications are still to be finalised. A new maintenance depot will also be built on the existing Metro depot site at Gosforth in Newcastle. The current depot was built in the 1920s and is not fit for purpose, according to Nexus. The procurement process for the new trains began with the publication of a formal notification in the Official Journal of the European Union – the publication in which all tenders from the public sector which are valued above a certain financial threshold must be published in line with EU legislation. Nexus expects to shortlist bidders in the summer of 2018. The new trains are expected to enter service from the end of 2021. As new trains arrive, old ones will be removed from service, a process that Nexus estimates will take two years. A fleet maintenance contract will come into operation during 2020, covering new and old rolling stock. The government has committed £337 million towards the cost of the new train fleet and Nexus will contribute £25 million. 362M GBP. Oh how I hate this false accuracy. “About 350M” or “more than 350M” would have been far more likely to be accurate! Whoever agrees to build the new trains for Tyne & Wear Metro will manufacture them and to replace the current stocks that are ageing.